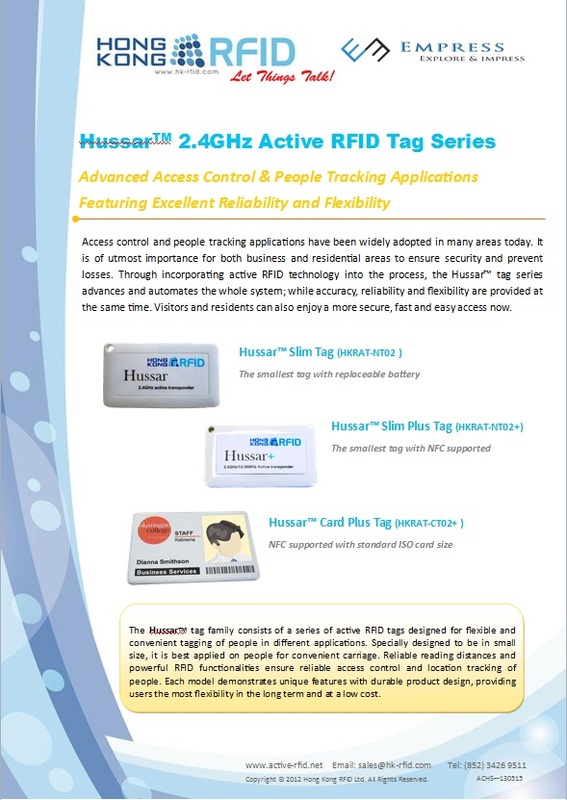 Wanna know more about how Hussar™ series can be applied for people tracking or other people-related applications? Study our newly published Hussar™ Application case! To unlock a door, we usually need a key or password. Now with the application of Hussar™ Tags, no more keys or passwords are required. The whole operation system simply contains a controller, a reader and Hussar™ Tags. . When you approach the door, carrying the Tag, the unique Tag ID of it will be sent to the reader for verification. Once the tag ID is verified, the door will be unlocked by the controller for your access. Counting working hours, double checking the time input on attendance cards with computers are always tedious tasks to human resources department. 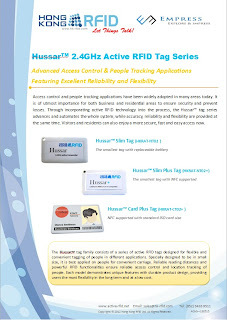 With Hussar™ Tags, the attendance taking procedure can be done automatically. When the staff entering the office premise, the entry time together with the Tag ID will be sent to the installed reader and recorded in computers automatically. This can greatly reduce the workload of human resources department. You can download the application case here for more detailed description.